I’ve had this book – a copy that my dad apparently received as a Christmas gift in 1966 – on my shelf for years and never read it or realized that it’s a sequel to Lost in the Barrens. Fortunately, you don’t need to have read that more famous novel to follow the plot in this one. 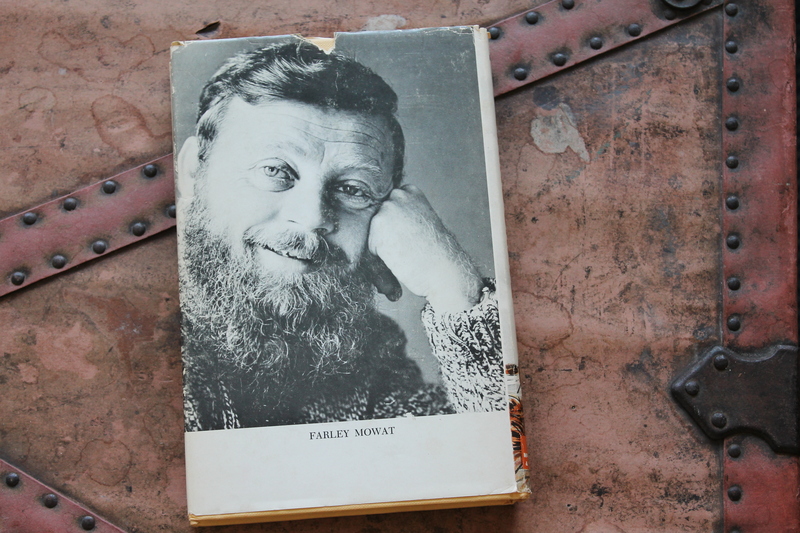 Farley Mowat is in a league of his own when it comes to Canadian literature. And in most other things. He famously held himself apart from popular Canadian authors and never seemed too concerned with being accepted by either them or the population in general. I’m not sure if he would have been a pleasant person to spend time with or not (he had a lot of strong opinions, to put it mildly) but he definitely would have been fascinating to talk to and I do know that when a friend of mine wrote Mowat a letter a couple of years ago, Farley Mowat wrote a kind and personal letter back. The Curse of the Viking Grave follows the adventures of Jamie, Awasin, and Peetyuk, as well as Awasin’s sister, Angeline, as they journey even further north of Hudson Bay to collect a Viking treasure they found previously. (I believe this discovery occurs in Lost in the Barrens.) They need money desperately to help their guardian and Jamie’s uncle, Angus, who has fallen ill away from home. They are also evading capture by the Mounties. The reader follows their summer journey, first by dog sled, and then by canoe down the Big River. We watch the Inuit tribe hunt caribou and learn about the trap lines the boys keep. There’s lots of neat information folded into the story in a readable manner. Where the story lacks is in tension. Since the Viking treasure was found previously to the action of this novel, they’re really just going to pick it up and take it to another place. I never doubted that they would do so successfully so, when you think about it, it’s the story of one long errand. 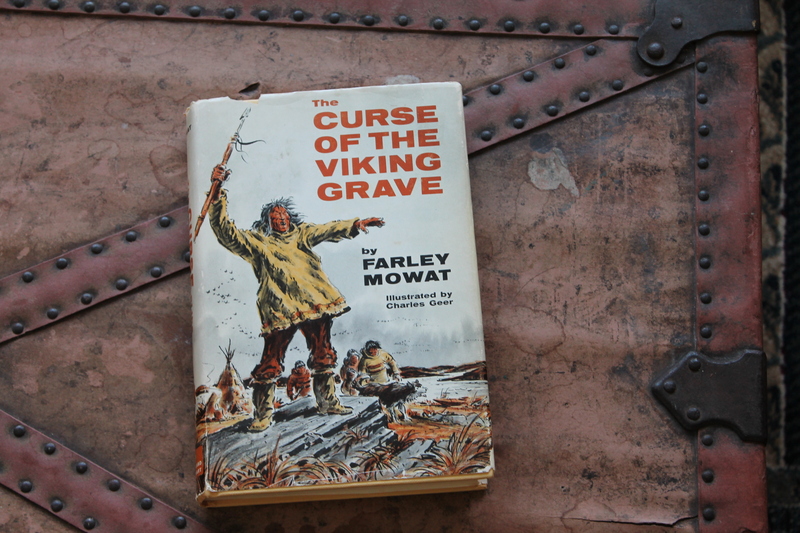 Mowat’s writing, however, remains engaging and fascinating and I think would still grab a young and maybe reluctant reader who might be interested in adventures and wilderness. The setting is done well and is really the highlight of this story.